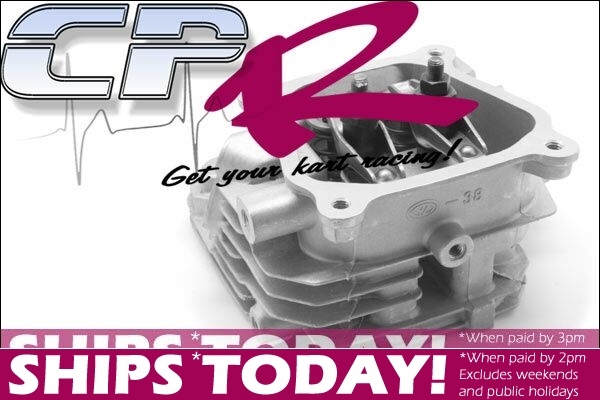 With highly reputable high performance porting as used on winning race engines at venues such as Ipswich, you'll be certain your flow is maximised and power output as high as possible from your head. CPR Performance RACE Honda GX200 Ported Head complete with valves, stock springs and rockers installed. Bolt on configuraton. This cylinder head has been ported and flowed as per our STAGE 2 engines. If you are looking to reproduce the long hours of development spent working the GX200 and clone to a competitive engine such as our fantastic STAGE 2 engines, then you will need this component!